This fantastic trail is new to our list. 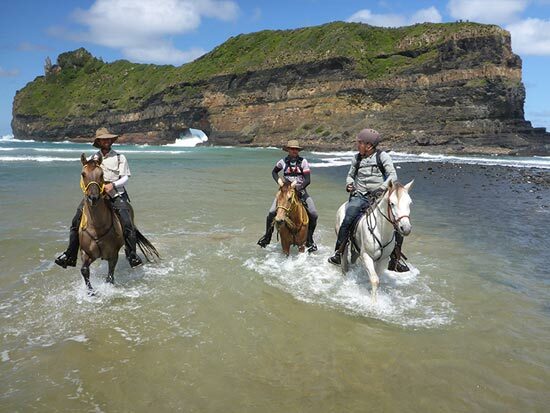 It takes the rider on a discovery through the unspoiled wilderness of the Wild Coast. The trail starts at Port Edward and ends at Wave Crest. Custom made to suit our clients, the length of the trip varies between three to five days. Breath taking views of both the land and the coastline awaits our guests. Swim through a river or lagoon on horseback and gallop on the beach with your horse. Climb mountains and stop on top to absorb the spectacular sea views. 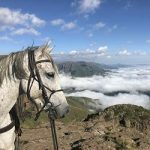 An equestrian experience for your bucket list. Best time of the year to book for this ride is between March and April or during October of each year.